An individual’s failure is also something that most people have at least one person in their lives take the time to point out for them. In fact, people even regularly search up fails on Youtube. Failure becomes something to laugh at as we desperately hope to never be featured as one of those individuals on the screen. Society seems to thrive in the failures of others! Someone’s failure becomes the reason provided for why it is highly advised by people who love us to not try something. After all, the people who love us don’t want us to fail, right?!? And, when we “fail,” there is nothing worse than having that pointed out for us… as if we haven’t already pointed it out to ourselves! Fear of failure is what has prevented me from reaching out to others at times. Does rejection count as failure? I used to think it did. I had a long list of what counted as failing in my head. Now I question my list and its accuracy. This summer, I had the privilege of visiting the Pacific Science Center as part of our CityPASS in Seattle as part of our family vacation. While there, I was drawn to a large wall highlighting many of the world’s ‘failures.’ Apparently, this is a temporary exhibit, but it sure is one that I have found myself reflecting upon many times since my visit. 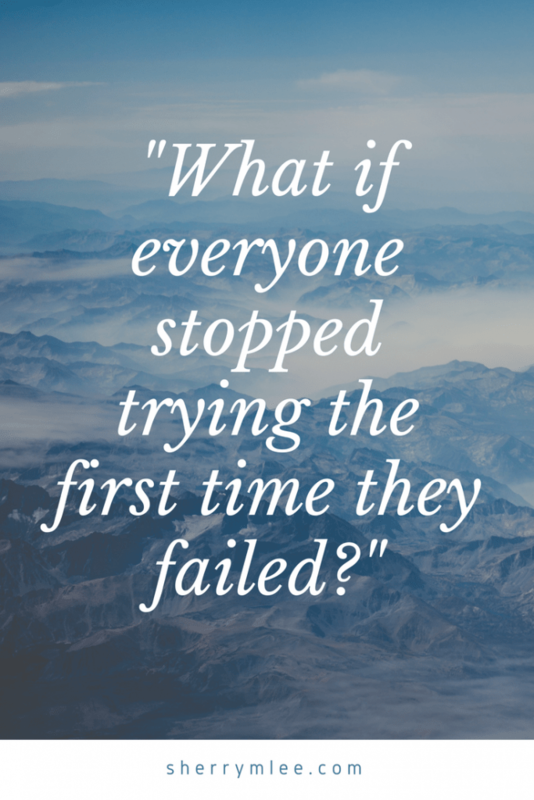 The question, “What if everyone stopped trying the first time they failed?” immediately caught my eye. A closer look at the wall and I found pictures and information about individuals I certainly never would have considered failures. In fact, I couldn’t even picture them failing at anything! I guess I always knew that successful people have to overcome obstacles along the way. How is it that I never seem to think of the obstacles when it comes to others? I tend to reflect instead on the incredible success of these individuals with apparent blinders to what the obstacles must have been like for them as they pushed through and continued on despite those obstacles. Just a few of the people featured on the wall are Walt Disney, JK Rowling, Michael Jordan, and Abraham Lincoln. Rather than fear failure, these people seemed to embrace it! Check out this PacSci podcast episode for more information about the Wall of Failures. This is something that often comes up for us, isn’t it? As humans, we so strongly desire the support of others. Yet is it in our best interest to worry in this way? I believe it isn’t in our best interests if we are being encouraged to not even try at something. I recently read that Guglielmo Marconi, the inventor of the radio, was taken to a mental hospital upon telling his friends that he believed he could send messages through the air. I’m sure the Wright brothers had many people worried about them as well when people initially discovered they thought they could invent a machine that would fly! In both cases, I am certainly thrilled that these people persevered and moved forward with their inventions despite what other people thought. Self-made Spanx billionaire, Sara Blakely, describes her definition of failure as not trying as opposed to defining failure by an outcome. It is something that was initially taught to her by her father. I encourage you to watch the brief Youtube video below to learn more about this! Blakely’s father also gave her some motivational tapes to listen to when she was 16. They were Wayne Dyer’s How to Be a No Limit Person. She indicates that she listened to the series so much that she memorized it! If you are interested in gaining a glimpse of some of the many things that did not go as planned in Sara Blakely’s life, I encourage you to also watch her in this 3 minute interview with ABC when she was featured as their “Person of the Week” in March, 2012. I believe more and more that it is incredibly important to congratulate our children for taking risks as opposed to lecturing them on their failures or what they’ve done ‘wrong.’ The aspect of failing has had a negative connotation for years in school. After all, how on Earth would someone be successful in life if they were failing in school? BTW I don’t really feel like this, as can be seen in some of my previous posts such as Dyslexia Does Not Define Success and Predicting Future Success of Students. 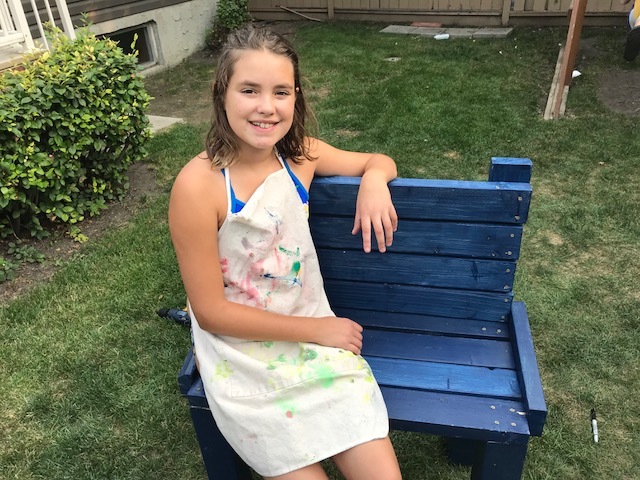 My 11 year old daughter recently stated that she wanted to make a bench. I had been restoring our kitchen tabletop due to the abuse it has taken from my kids over the past few years when she came up to me to tell me what her plan was. I wish I would have captured a picture of the first attempt, but I simply didn’t think of it. Needless to say, it didn’t quite go as planned. The first attempt lacked the strength and balance it needed to be able to support someone. We congratulated her on her attempt, considering she had done this completely independently with the exception of her dad cutting the boards exactly where she wanted them cut! I thought that was the end of it. I didn’t realize it at the time, but she made plans to continue working on her bench. The next day, she went back to the drawing board and figured out a way to make her bench work. She measured and painted more boards. In the end, she has created quite a functional bench! Had my hubby and I simply focused on providing reasons for her not to even attempt to make her bench, she likely wouldn’t have made it. Had we focused on letting her know exactly how her bench had “failed,” she likely would have stopped. If she focused on a fear of failure, the bench would have been scrapped at some point. We are far from the world’s greatest parents. However, we are learning that our kids need to have their own life experiences. This is despite how many of our own experiences we may have tried and ‘failed’ at ourselves. So What Does Failure Really Mean? I would love to know your thoughts on failure. Please let me know in the comments below or send me an email at contact@sherrymlee.com. This is an amazing reminder to support my kids endeavors. So that they can learn from their own mistakes! This is a great reminder to support my kids, and to let them learn from their own mistakes. This post made me think quite a lot. I’ve been scared of failure for as long as I can remember and when I felt that I was about to fail, I stopped doing the thing I was doing. But I think you have a great point. This is so smart. I wish I’d been exposed to this kind of thinking when I had a huge setback as a teen … but alas it’s not wise to dwell on things long, long gone. And I’m doing my share of going after goals, dusting myself off and grouping when things don’t work, and carrying on today. Sherry, this was an excellent read. 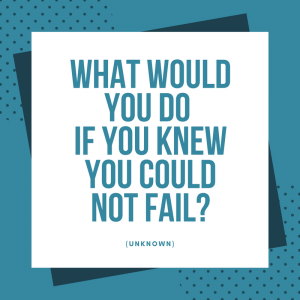 I often thought of failure as this huge life defining thing but when I had my children and noted how often I encouraged them to keep trying and do it again, I had to realize that the best example I can set for them is to show them how well I bounce back from failure myself. Children feel frustrated easily by ‘failure” so i definitely have to redefine this word for them. I live about an hour away from Seattle, and have seen the wall that you write about in your blog. I read it to my children, and we often talk about it when we talk about failure. The one that most shocked them was J.K. Rowling. Look at how successful she is now! Yes, it is shocking. I had been guilty of assuming many on the wall were overnight successes. The success came with a lot of perseverance and a lot of bouncing back when things didn’t turn out as planned the first few times. The JK Rowling story is very inspirational! Wow! What an inspiring post! 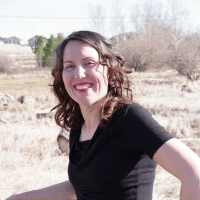 You are so right… as a parent I’m realizing I can be so outcome driven…. get it done right move on, time ya short, lots to do…. but the experience is what matters most. Ahhh this will totally give me pause the next time my daughter want to try something. Good thing she’s only 2.5!